A dream come true! 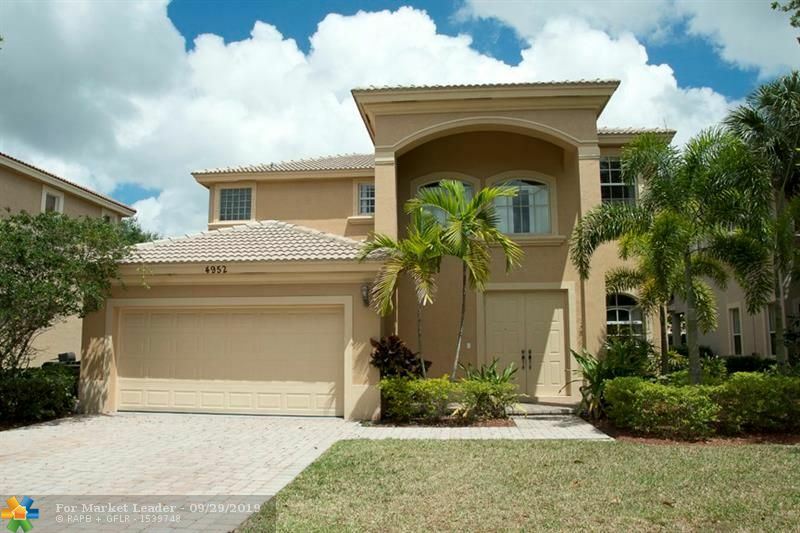 Gorgeous 2-story, 5/3.5 home w/ den, theatre room(easy 6 bedroom just adding closet). formal dining, 3 car garage, and balconies overlooking a picturesque, completely fenced yard just under an acre! No HOA and loads of room for boat or RV, yet close to restaurants, shops, parks, churches, and expressways! And best of all - minutes to N. Broward Prep! The wonderful kitchen opens to a huge family room, the living room w/ soaring ceilings and fireplace, the den and the master downstairs suite all open up to a sparkling salt-water pool w/ waterfalls & gazebo! Loads of storage, large walk-in closets, and a wireless Alexa system w/ security cameras. Easy to show and sell! Compare to newer home subdivision less than mile away with similar pricing, but small lots and HOA regs! This Huge home with awesome floor plan. Kitchen includes Whirlpool Stainless Steel Double Oven, Surface Mounted Stove, Dishwasher and Microwave. Granite countertops everywhere. Espresso Maple Kitchen Cabinets. Large tile on first floor and crown molding. Jetted tub in Master bath. Master bedroom is expansive with sitting room and huge walk in closets. There is also a large loft that looks down to below. *AWESOME HOME ON UNIQUE PARK LIKE GROUNDS*TASTEFULLY DECORATED, UPGRADED & MAINTAINED* *Wood Composite Flooring in Master & Den (4th Bedroom)*Bruce Hardwood in Guest Bedroom*Newly Installed Accordion Shutters*Newer Stove, Dishwasher, Micro & Auto Garage Opener*Newly Designed Bathrooms* *Home Recently Painted*AC 5 Years Young*Exquisite Styled Special Lighting thruout the Home & Outside in Garden & Pavered Areas*Oriental Fountains & Plantings Adorn the Outside Grounds*Hi Ceilings Add to the Spacious Comfy Feeling in this Fabulous Home*Garage has Work Bench & Plenty of Extra Storage*Community is Centrally located to all types of Shopping & Convenient to Major Roads*Close to Boca Raton to the North, Coral Springs to the West & the Atlantic Ocean & Beach going East...Welcome to your next Home ! 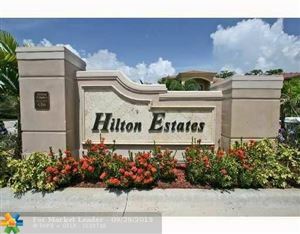 Beautiful Mediterranean Single Family Home at your finest at Hilton Estates! This 2 stories spacious and bright home built on 2006 has 2,674 sqf liv area, tot lot 6,511 sf, 4 beds + loft, 3 full baths and 2 car garage is the perfect buy for your family. Master bedroom w/ walk-in-closet. Huge master bath w/separate lavatories, glass shower, double sink & tub. All is in mint condition! Gourmet kitchen w/customize cherry wood cabinets and granite counters, tiles floor downstairs & wood floor upstairs. Big back yard for bbq and to built a pool. 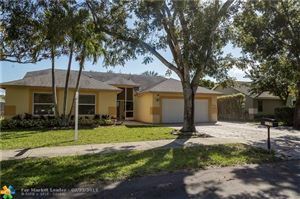 Nice neighborhood, secure community close to well rank schools and newer Promenade Coconut Creek shopping area for your enjoyment. Something special. Motivated Seller. Don't miss to see this Estate. Price to sell!!! A very unique 2 story 3/3 completely renovated & updated home with a wrap around balcony on a large corner lot, view from second floor, all bedrooms are downstairs, kitchen, dining room & huge living room upstairs, great neighborhood, located at prestigious Hillsboro Pines, New Roof was put around 2 years ago, quartz counter tops, wood and porcelain floors, hot spa and decks, this gem with water view from the wraparound balcony is an amazing vacation home or all year fun, NO HOA. This Home comes with a full American Home Shield Warranty. Spacious pool home w/water view, largest lot in St. Croix. Split floor plan w/ 4th bedroom as a home office/den w/ wet bar for entertaining. Loaded with upgrades, Vaulted ceilings, crown molding thru out, granite counter tops, high hat lighting, custom lighting and ceiling fans, updated kitchen lower cabinets with pull out drawers, newer stainless steel appliances, updated baths. Ceramic tile in all main areas. Cherry finish wood laminate in 3 bedrooms. Bedroom 2 has built-in Murphy bed/with closet built-ins. Laundry room with newer front loading washer and dryer. Attic storage w/ pull down stairs. Pool with spa/ heated. Paver driveway. Sprinklers off the lake. Low HOA gated community includes cable/HBO. Community Pool. 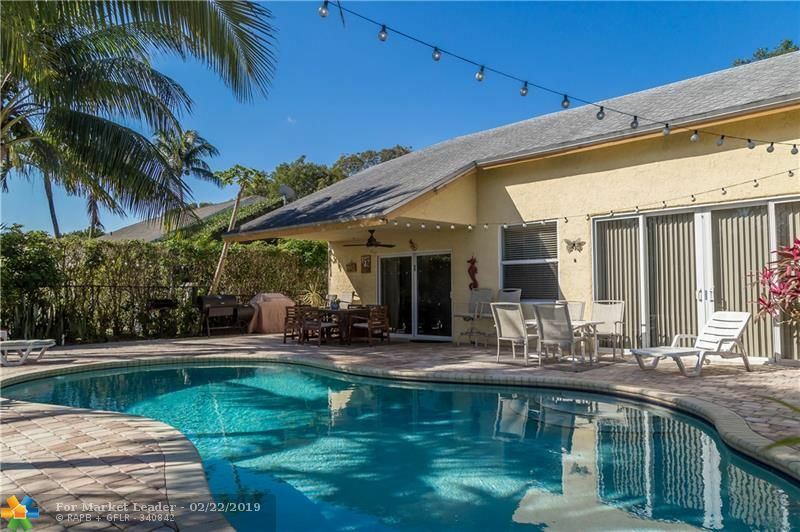 Large waterfront 4/2.1 pool home. The kitchen has lots of cabinets and huge counter space with beautiful granite open to the family room. Family and living room has sliders door to the pool area and backyard. All fenced and has a great playground (included on the sale). The master bedroom has a walking closet, dual sink and doors to the pool area. Hurricane proof windows all over, new appliances, water purifier and much more. This house is ready for your family. Great school district. Association only $145 a YEAR. WOW!! FABULOUS DECORATOR CUSTOM REMODELED WATERFRONT POOL HOME!!! NEW EURO MODERN KITCHEN CABINETRY WITH GRANITE COUNTERS AND STAINLESS APPLIANCES, NEW PORCELAIN FLOORING, MODERN BATH CABINETRY, FIXTURES AND LIGHTING. HUGE SCREENED PATIO WITH LED LIGHTING IN THE POOL AREA LEADS TO THE LARGE DECK OVERLOOKING THE WATER AND IS SURROUNDED BY RESORT STYLE LUSH TROPICAL LANDSCAPING. THIS HOME IS A TURN KEY OPPORTUNITY WITH NEW HVAC, POOL RE-FINISH, GUTTERS, WATER HEATER, TERMITE WARRANTY, SPRINKLERS, NEW DECK AND INTERIOR/EXTERIOR PAINT!!! COME SEE THIS HOUSE AND MAKE IT YOUR NEW HOME!!! BEAUTIFUL AND SPACIOUS, BRIGHT AND AIRY, NEWER AC AND WATER HEATER, OVERSIZED MASTER SUITE WITH VIEWS OF THE POOL AND THE CANAL. MASTER BEDROOM HAS A HUGE CLOSET AND LARGE BATH WITH SHOWER AND TUB. PLENTY OF STORAGE IN THE 2 CAR GARAGE. DON'T MISS OUT ON THIS AMAZING HOME! BEAUTIFUL COQUINA POOL HOME! 3 BEDROOMS AND 2 BATHS, 2 CAR GARAGE, LARGE FAMILY & HUGE LIVING AREA. LOCATED IN A HIGHLY SOUGHT COMMUNITY CLOSE TO PROMENADE MALL. CLOSE TO SAWGRASS EXPRESSWAY AND TURNPIKE AND SEMINOLE CASINO. KITCHEN HAS NEW STAINLESS STEEL APPLICANCES GRANITE COUNTER TOPS. FRENCH DOORS FROM FAMILY ROOM & KITCHEN OPEN TO POOL & PATIO AREA. CROWN MOLDING, WOOD FLOORS, DOUBLE DOOR ENTRY. PRICED RIGHT! 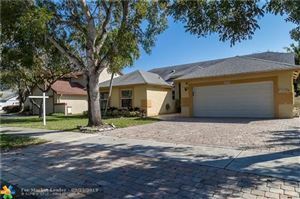 2 Story 4 Bedroom/ 2.5 bath Single Family Home Located in the popular subdivision of Banyan Trails. Close proximity to top rated schools, restaurants, shopping, and quick access to major highways. The low association fee includes a clubhouse for entertaining guests along with a pool, gym, and fully equipped kitchen. Basic Cable is also included free of charge. The front and back yards of this home is one of the largest in the community, making it possible to have plenty of space to park multiple vehicles and perfect for outdoor entertaining as well. Back yard has fruit trees such as mango and avocado. This safe and tranquil neighborhood includes a local park just blocks away with walk/bike paths, pavilions, and space for picnics and sports. Concrete Tile Roof. A/C has updates. Must see! 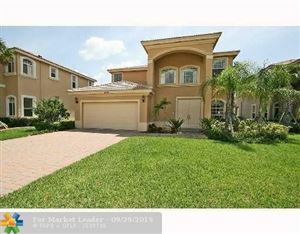 AGENT-OWNER.Immaculate and Spacious, 2 story SFH, 4/2.5 bath, in desirable gated Winston Park. 2-car garage. His/hers closet. Separate large tub & shower, granite countertop with his/hers vanity. Kitchen wood cabinets, granite countertop & tiled backsplash. Large enclosed screened in pool & backyard with privacy fence. Great, nice, quiet Neighborhood close to The Promenade at Coconut Creek, Public, hopping, gym, highways & schools. MUST SEE!!! Inviting 4/2 pool home in popular Winston Park. A/C, water heater & appliances all replaced within the past 3 years nor less. Circular driveway & 2 car garage. Screened rear patio with heated pool. Great neighborhood with low HOA fee under $200 per year. New carpet in master bedroom & seller offering flooring credit for other 3 bedrooms. Split floor plan with tile throughout main living area. Spacious kitchen with ample cabinet space & breakfast counter. Excellent area schools. Close to popular 54 acre Sabal Pines Park, the largest in Coconut Creek & walking distance to Winston Park Nature Center with walking trails. Nearby shopping, dining & major highways make this is a great location. Low taxes. Roof replaced approx 10 years ago.